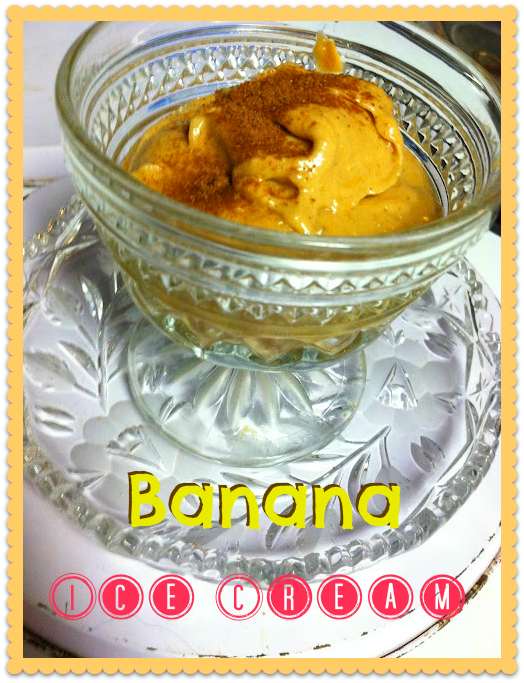 Banana ice cream! It seems to be the new "thing!" The best part about it is that it's sooooo easy to make! My lovely, best friend Christie and I (1nOnlyAnna) had our 1st Pinterest Party awhile back. We picked several projects and recipes that we wanted to try and spent our day having a good time while we created/ate our creations! First on our list was this lovely dessert, Banana Ice cream, which is all over Pinterest! First things first! BANANAS! 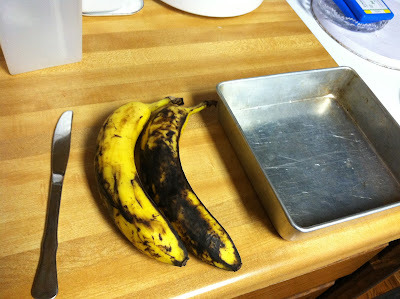 I advise about 1 banana per person. 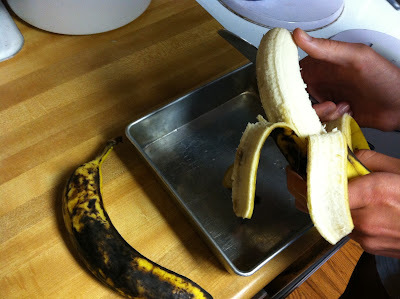 Once you have your bananas, slice them up! 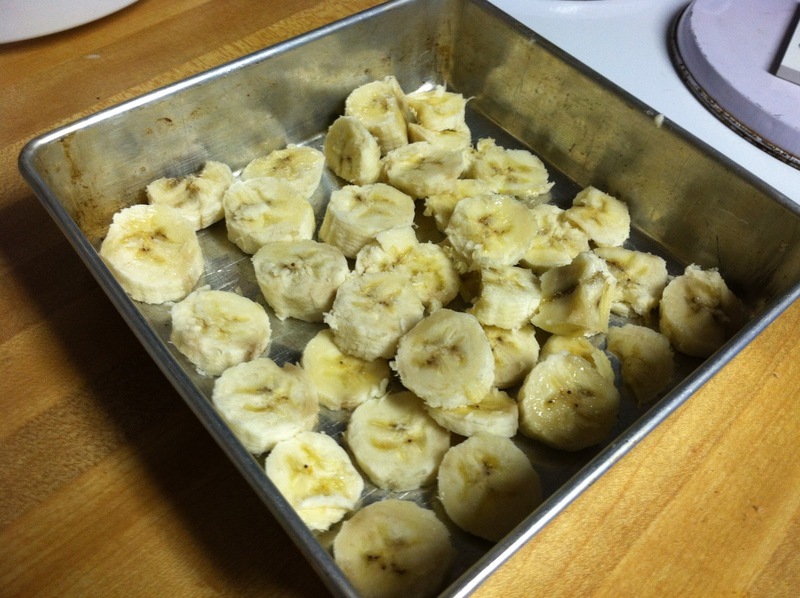 Then stick them in the freezer (as shown in first picture by my lovely friend) for at least 20 minutes! My friend and I had soo much going on that we left them in the freezer for most of the day. It honestly doesn't make a difference as long as they are frozen. After the bananas have been frozen for the desired time, grab your blender, peanut butter and some sort of chocolate delectable. We chose chocolate milk mix. It didn't over power the treat. 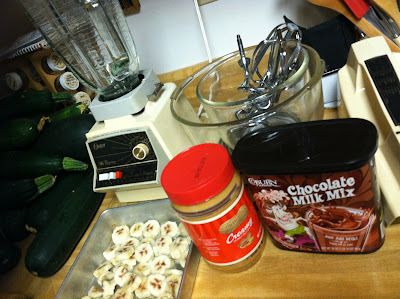 Begin by pulsing the frozen bananas until they're smooth, then mix in the peanut butter and chocolate. 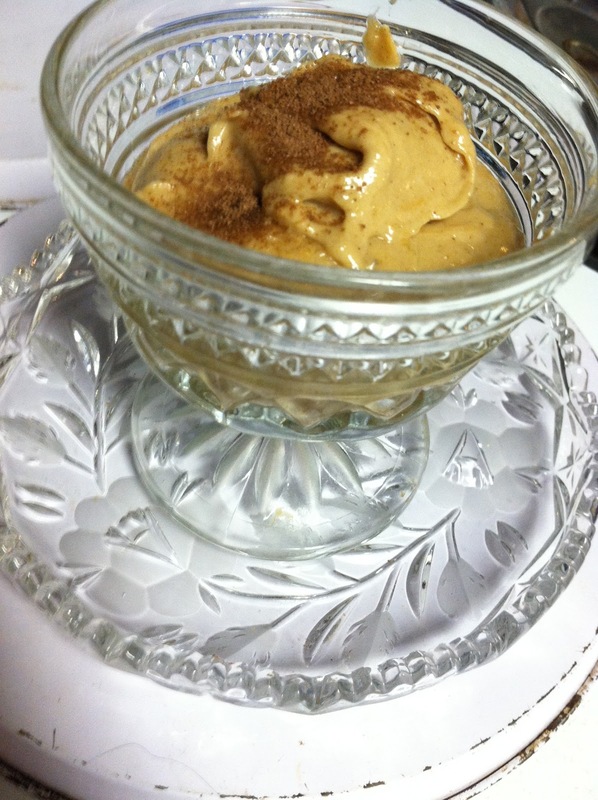 A delicious treat that is tasty, rich, and pretty healthy! Enjoy! Note: It has a greater consistency of pudding rather than ice cream, but, I think, that's to be expected because of the peanut butter. Link up Teen Inspiring Project here! Oooh, my sister would love this! I'll definitely send to her! I'm so glad that I'm following you! I've seen this on Pinterest and was curious to see if it was good. Thanks so much for posting! 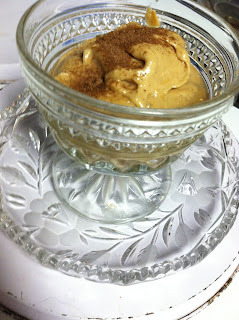 Glad to see Pinterest trial & error posts, cuz ya never know how good it is until you try it! Thanks for linking up!